LeBron has always been a big fan. This past weekend, Nipsey Hussle was tragically shot and killed in front of his own store in Los Angeles. The late rapper has seen an outpouring of support from people all around the world, more specifically the sports community. 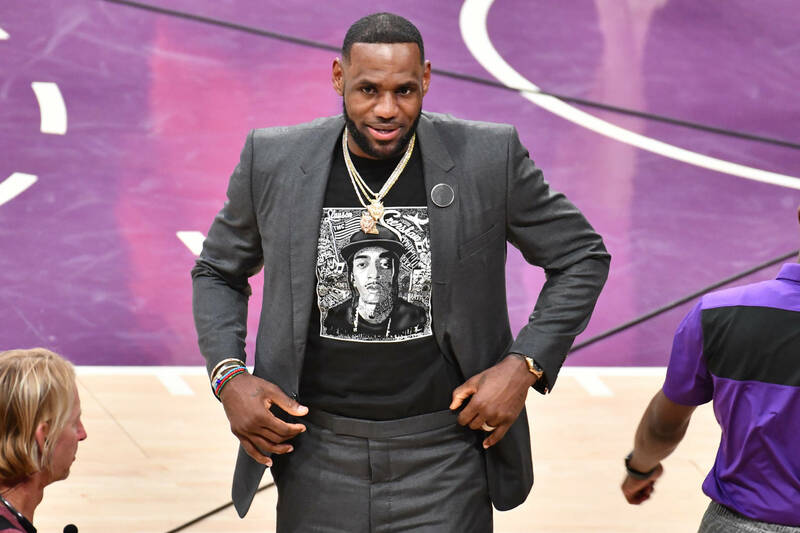 One of those people that has been a big supporter of Nip, is LeBron James of the Los Angeles Lakers. The Lakers were Nipsey's favorite team and he could be seen sitting courtside at multiple games. On Thursday night, James wore a special Nipsey Hussle shirt underneath his suit jacket as a way to pay homage to the late artist. In addition to LeBron's t-shirt, the Lakers held a moment of silence in Hussle's honor. Last night, LeBron commented on Nipsey's death after his friend Maverick Carter tweeted about his disbelief over the situation. "I’m with you bro! I’m still like I just don’t believe it man!! Daily shed tears soon as I think about it," James wrote. Other NBA players have offered tributes to the late rapper. The Los Angeles Clippers, Golden State Warriors, and players such as JR Smith and Steph Curry have spoken on what Nipsey Hussle meant to them.